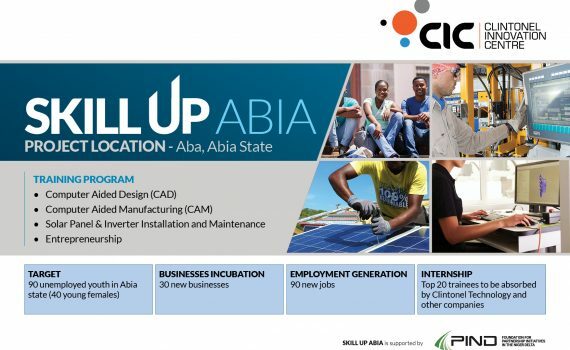 Application is open for Skill Up Abia (SUPA), a project of Clintonel Innovation Centre (CIC) Aba to train and support unemployed/underemployed young people in Abia State. Selected participants will be supported to secure internship/employment opportunities or startup new businesses. 7 Factory road Aba, Abia State. 50% of the slots are reserved for female applicants. Selected participants will undertake to refund the cost of training (N60,000) if they don’t complete the 3 months training. Apply only if you are sure you will complete the training. Skill Up Abia is supported by PIND.